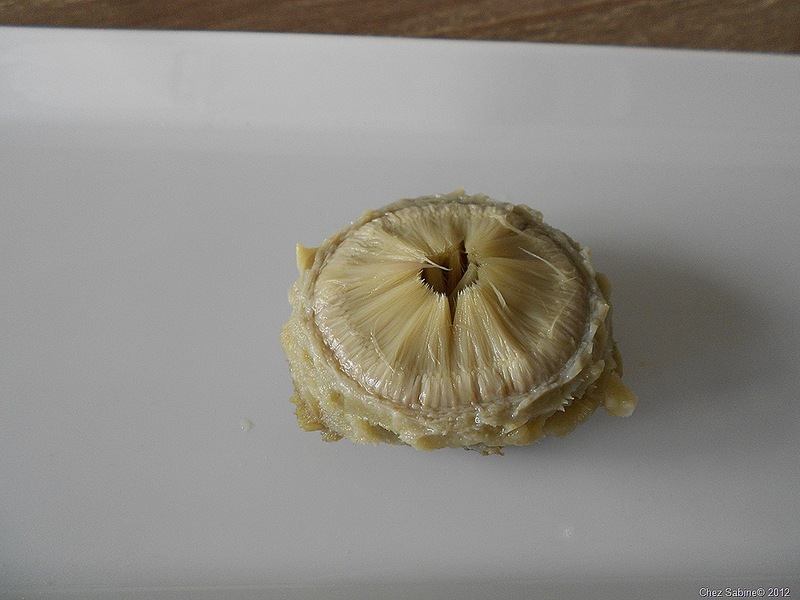 I’m surprised whenever I hear someone say that they’ve never prepared an artichoke. I’ve even known some people who’ve never eaten one. 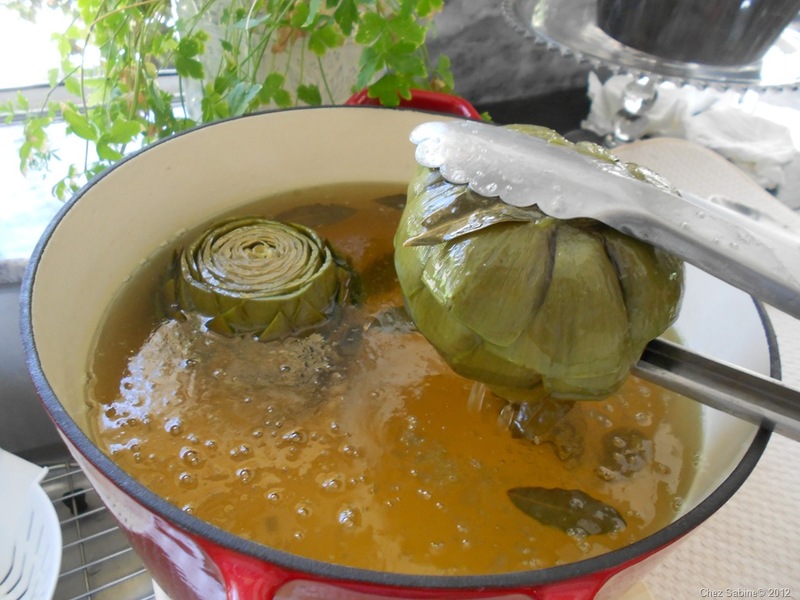 I’m going to show you not only how to cook artichokes, but how to eat them as well. You need to know this. They’re not that mysterious, but they will hurt you. Artichokes are part of the thistle family and are surrounded by petals or leaves tipped with sharp thorns. The petals are the part that you dip then eat by pulling them through your teeth. Each artichoke has a bottom, which is the sweet spot that’s worth going through the petals and the fuzzy choke. I prefer my artichokes humongous. If I’m going to trim them, cook them, prepare a special dipping sauce, then when I finally work my way to the bottom, it had better be worth the effort. In this case, bigger is better. And large artichokes easily are shared by two people. When I have guests, I sometimes put one or two artichokes out as appetizers along with assorted marinated olives, cheeses and flat breads. Note that when you’re serving artichokes to guests, don’t have a shallow bowl or plate near the artichoke for the used petals. A pile of half-eaten petals are pretty unattractive. 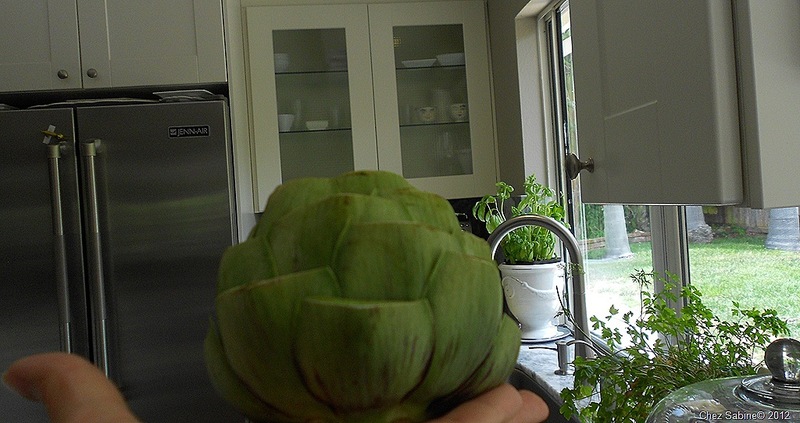 I place a small ceramic pitcher near the artichoke, so when guests toss in their used leaves, no one has to see them. I’m going to show you how to boil artichokes. In another post, I’ll demonstrate how to steam them. You get very different results, but boiling is probably the most popular cooking method. 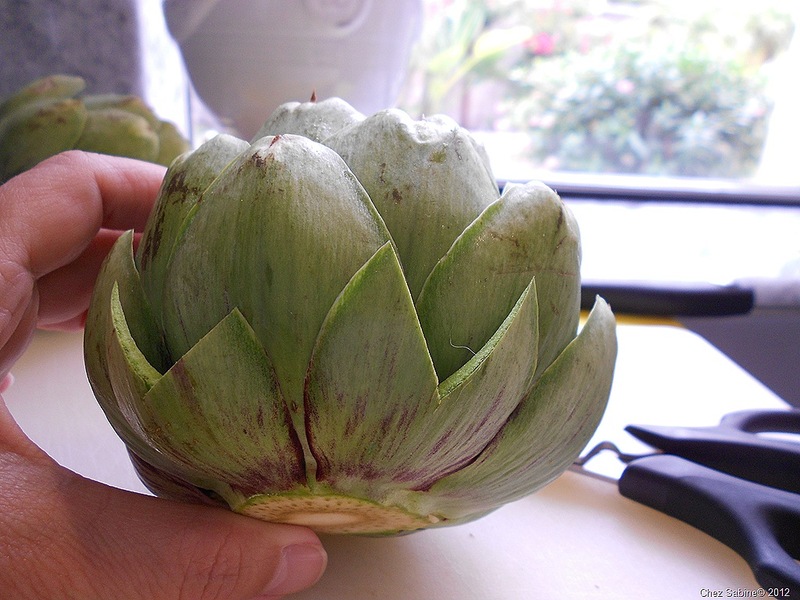 When selecting artichokes, chose those that are firm and heavy for their size. If you come across some that have slightly brownish outer leaves that look as if they’re peeling, don’t worry, they’re fine and have been hit by frost. Some people say that those have a more concentrated flavor than the pretty green artichokes. While they’re pretty to look at, store the artichokes in the fridge. If you leave them out on display too long, they’ll shrivel up or even start to spoil. That’s bad. 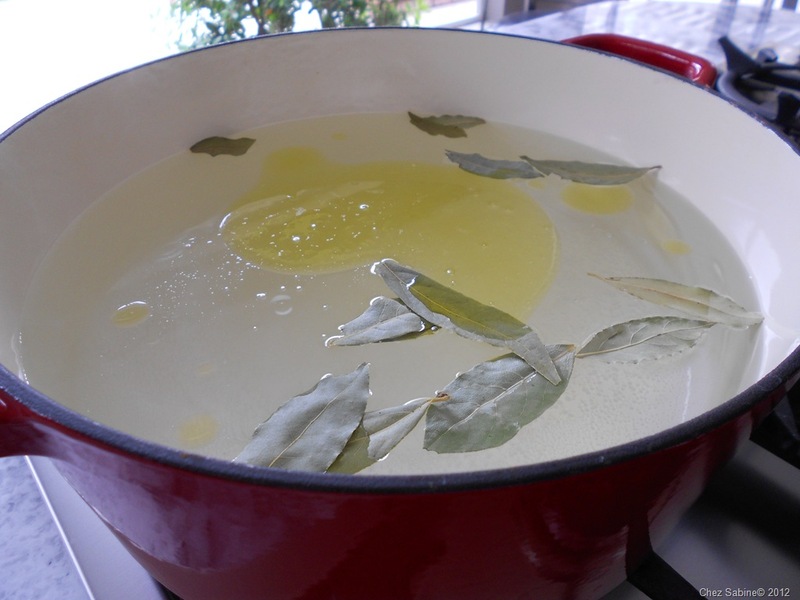 Fill a large pot with water and add about 2 tablespoons of kosher salt, 1/4 cup olive oil and about 12 dried bay leaves. Yes, I said 12. 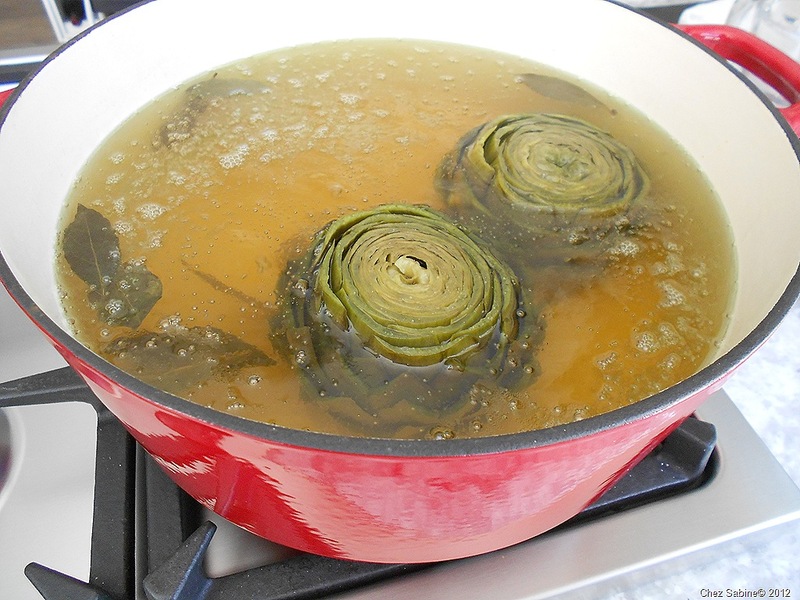 Bring the water to a boil while you prepare the artichokes. 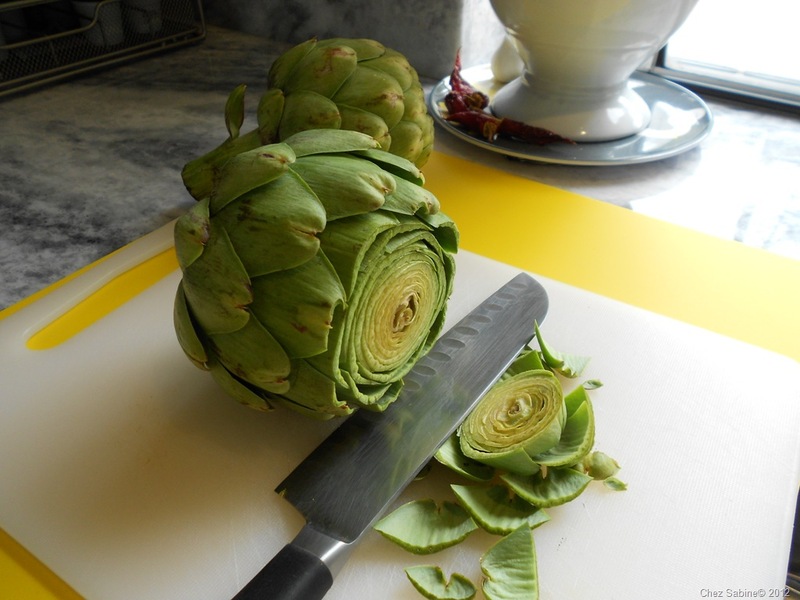 Cut the the stems so that the artichoke can sit up without keeling over. Slice off about an inch from the top. For a traditional look, take kitchen shears and cut each leaf or petal straight across. I often stray from tradition, and I like to play with my food. 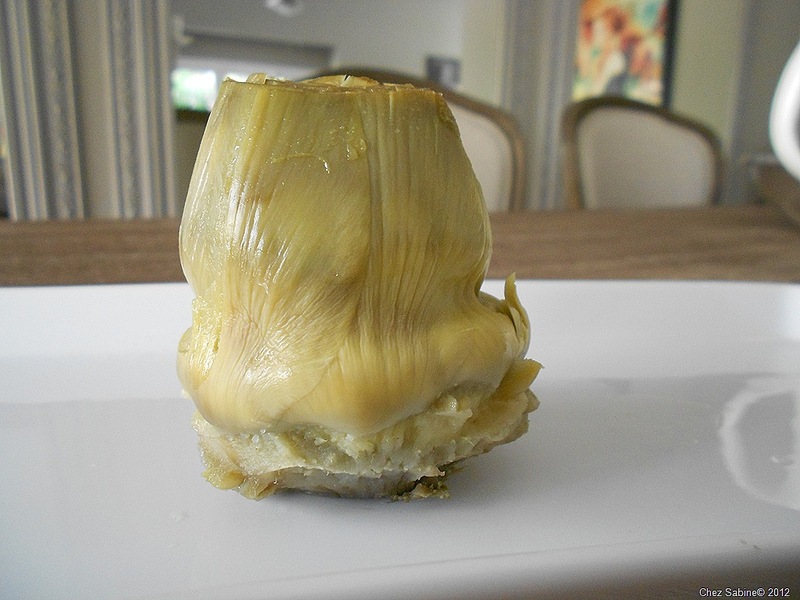 So I came up with what I call lotus-style artichokes. 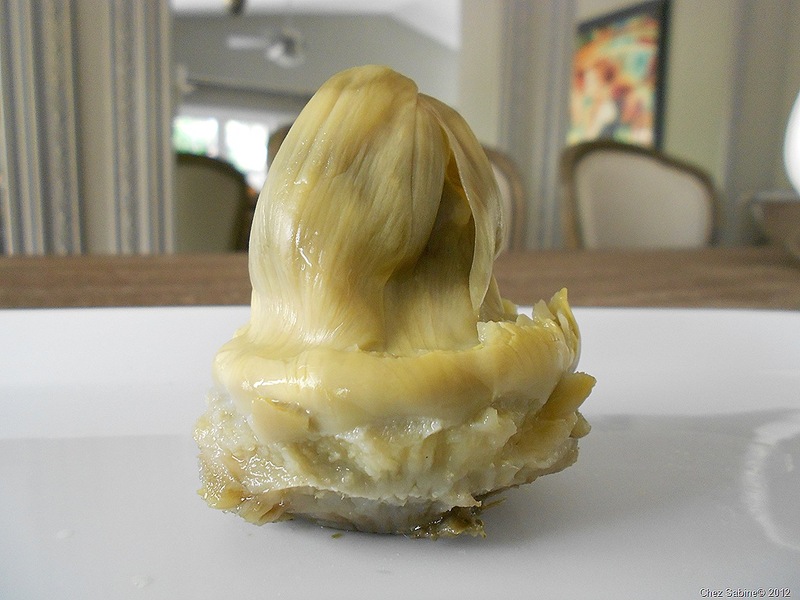 OK, I don’t want to brag, but is that a knockout looking artichoke or what? I’m sure it’s been done before, but I haven’t seen it. 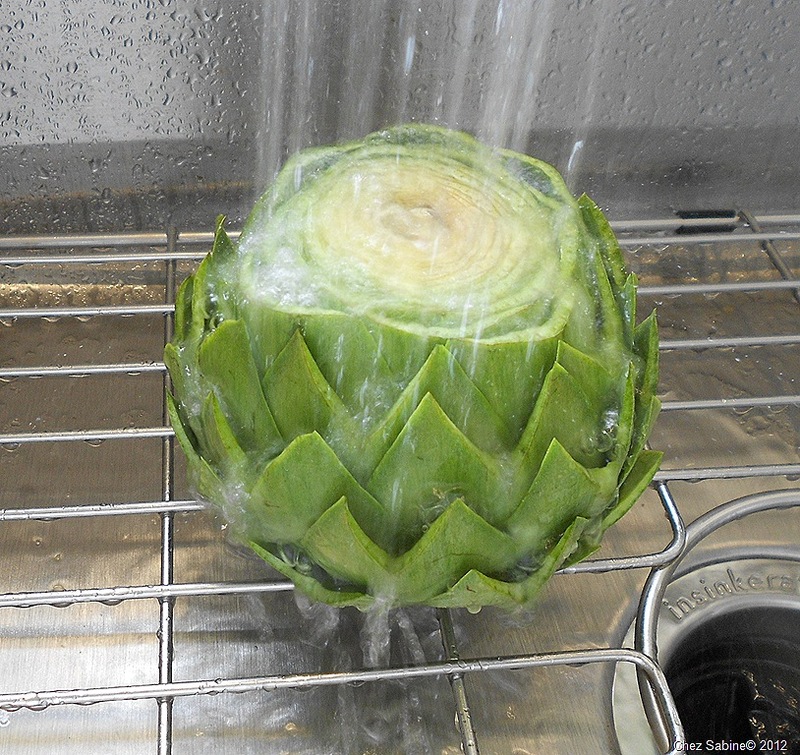 I prefer to shower my artichokes after they’ve been trimmed and declawed. Place them in the boiling water and don’t worry, they’re going to float. It’s what artichokes do. But if you use a pot with a heavy lid, that’ll help to keep the steam in and they’ll cook nicely. After about 45 minutes, large artichokes should be done. 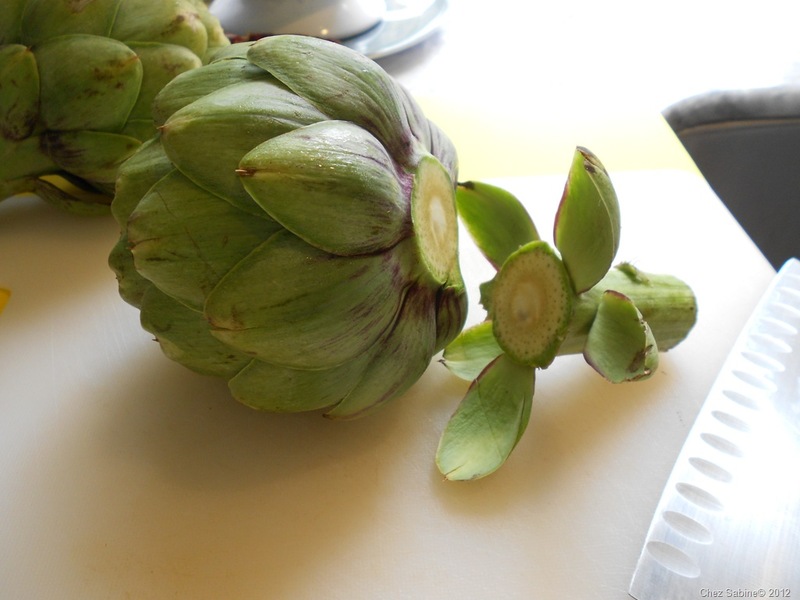 And when you can easily pierce the bottoms with a sharp knife, the artichokes are definitely done. You also can pull off a leaf and see if it’s tender. 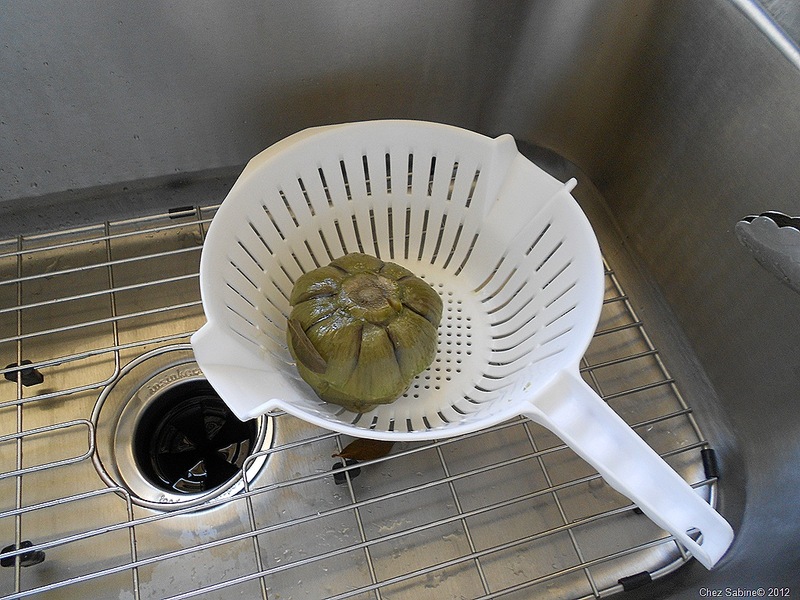 Gently remove the artichokes from the pan and place them, bottoms up, in a colander. 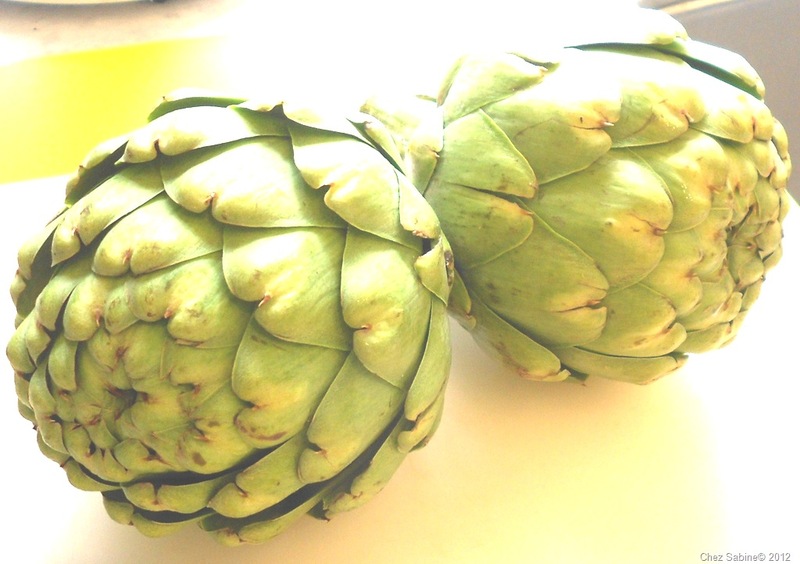 You can eat the artichoke right away or at room temperature or you can let it cool and store it in the fridge for a couple of days. Sometimes I cook several when I find them on sale, then throw them on the grill to reheat with whatever else I’m grilling. 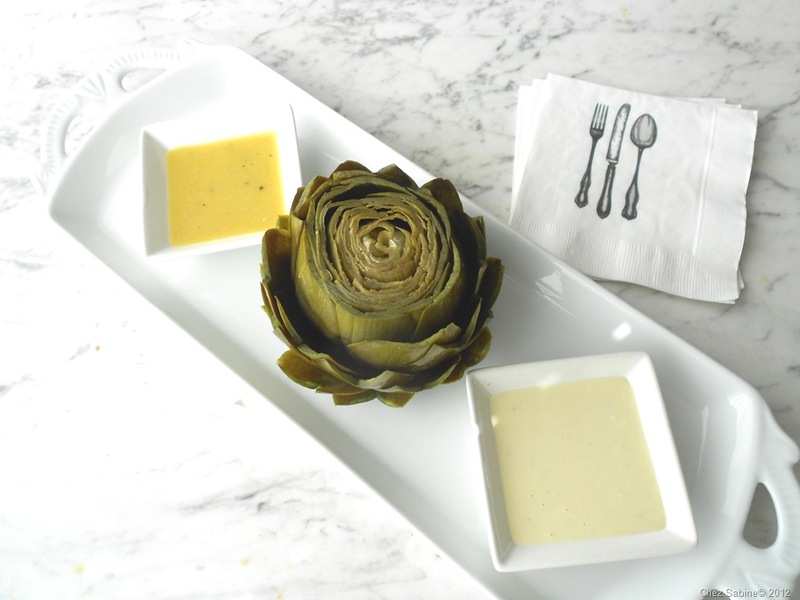 I never used to eat artichokes with mayo. My mother would serve them the French way, and that was with a vinaigrette. Still my favorite today. And I absolutely won’t eat them with melted butter. I love butter. Passionately. But not in its oily form. I prefer mine creamy. I’ll show you how to make a simple vinaigrette, and I’ve been known to add a bit of mayo to it for a creamy dipping sauce. The ingredients are simple. I like more vinegar than most, but if you don’t, then adjust the proportions to suit your taste. 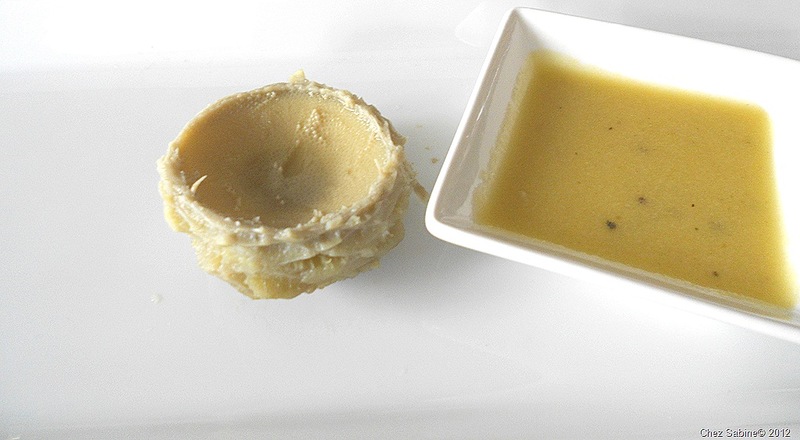 A vinaigrette doesn’t require a complex recipe. 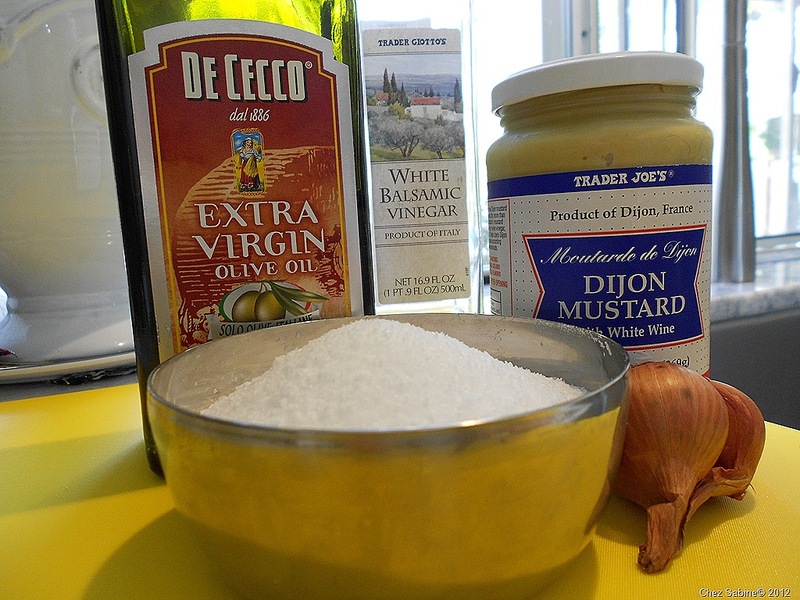 I often use equal amounts of vinegar and extra virgin olive oil. Don’t be shocked, I just don’t like oily dressings, especially if they’re going to be used as a dipping sauce. In a small bowl, whisk together about 7 tablespoons of white balsamic vinegar, the juice and zest of one lemon (which is mysteriously missing from the photo), about 1 hefty tablespoon of finely minced shallot, feel free to add more if you like the flavor,1 large tablespoon French mustard and a pinch of salt. 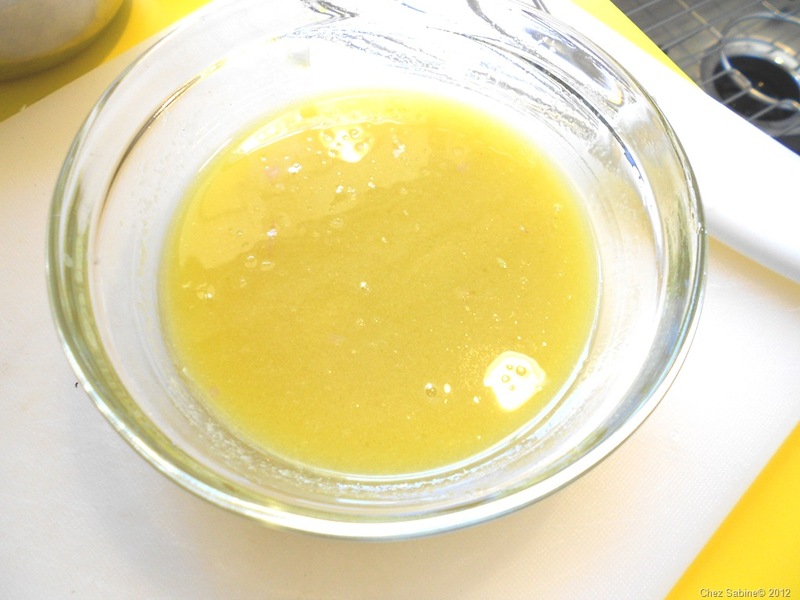 Here’s the only trick to making a vinaigrette if you don’t want it to separate for a good long while. And you don’t. 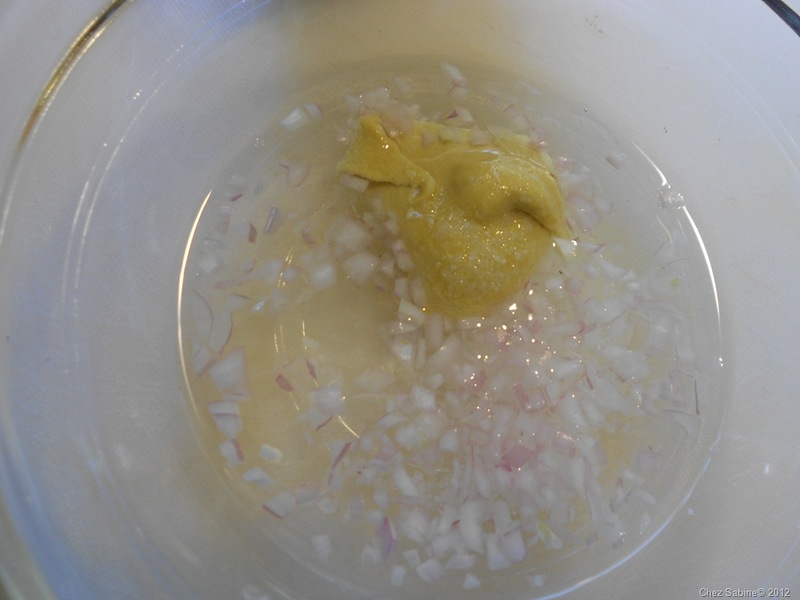 First, the mustard will help in the emulsion process, but you must dribble your oil into the vinegar/mustard mixture a little at a time as you continually whisk. I would have loved to show you the process but whisking, dribbling (oil that is) and holding a camera at the same time is just beyond me at this point. I hope to improve those skills in the future. Once you see that your vinaigrette is staying together as in the photo above, you can go ahead and pour your oil in at a faster pace as you whisk. You’ll see that process if you watch the video that accompanies this post. Finish the vinaigrette with some freshly cracked pepper and taste it to see if it needs more salt. Always taste. Now if you want it creamy, add a spoonful or so of mayo and whisk it well. The regular vinaigrette is on the upper left, and the one with the mayonnaise is on the lower right. 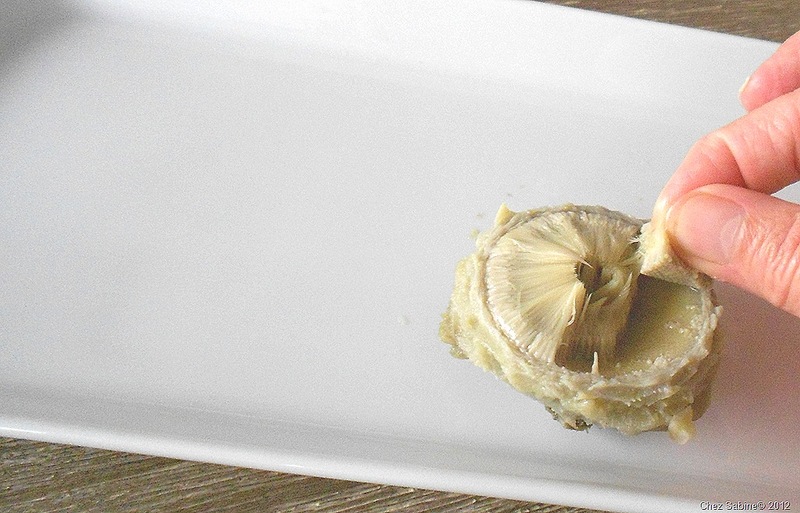 Now, it’s time to eat this artichoke. At this point, the leaves are super tender and you’re getting closer to that sweet spot. You can easily pull out that fibrous choke in clumps with your fingers. Please don’t try to eat it. It’ll ruin your whole artichoke experience. All of that work for this little thing? Yes, and once you taste that mellow, buttery heart, yours will melt, too. 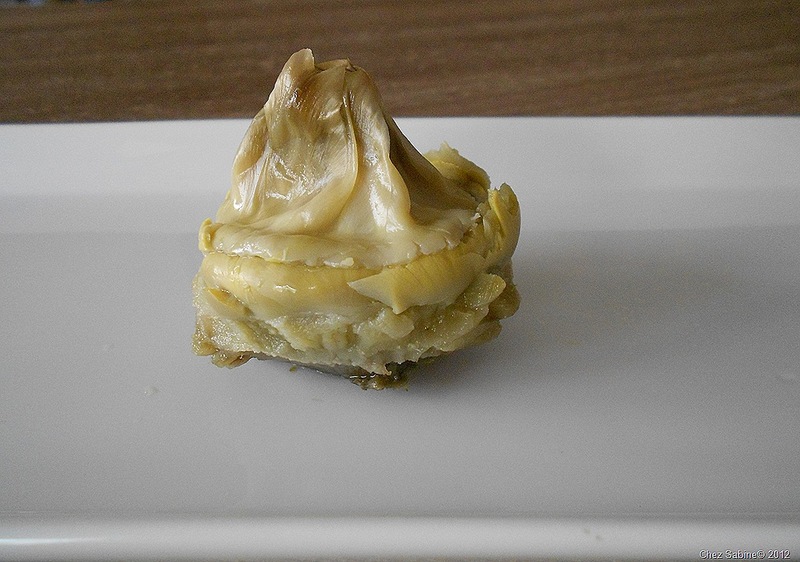 If you haven’t made artichokes before, I hope this will encourage you to try. And I’d love to know how it turned out. Of all my culinary textbooks (CIA) this is by far the most detailed instruction on how to prep and serve artichokes. 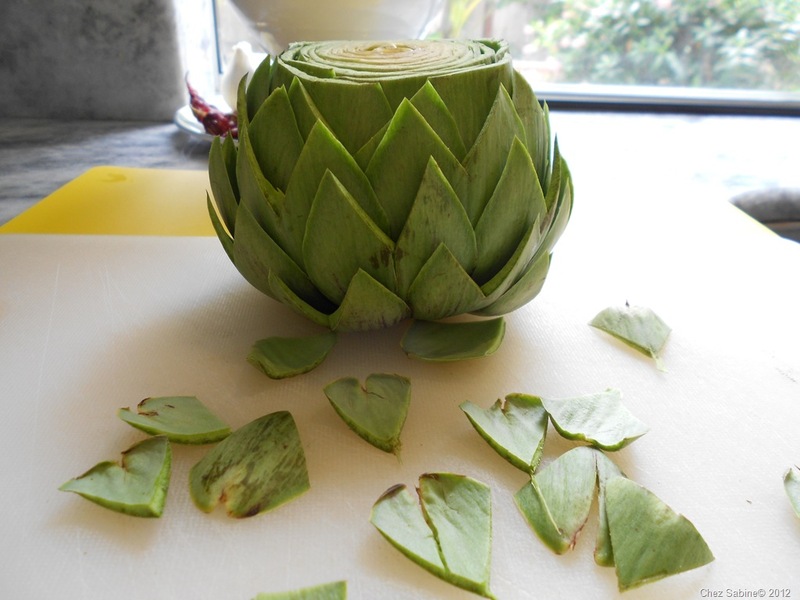 As an amateur fruit and vegetable carver I do love your Lotus artichoke btw. Phill, thank you so much. That means a lot. 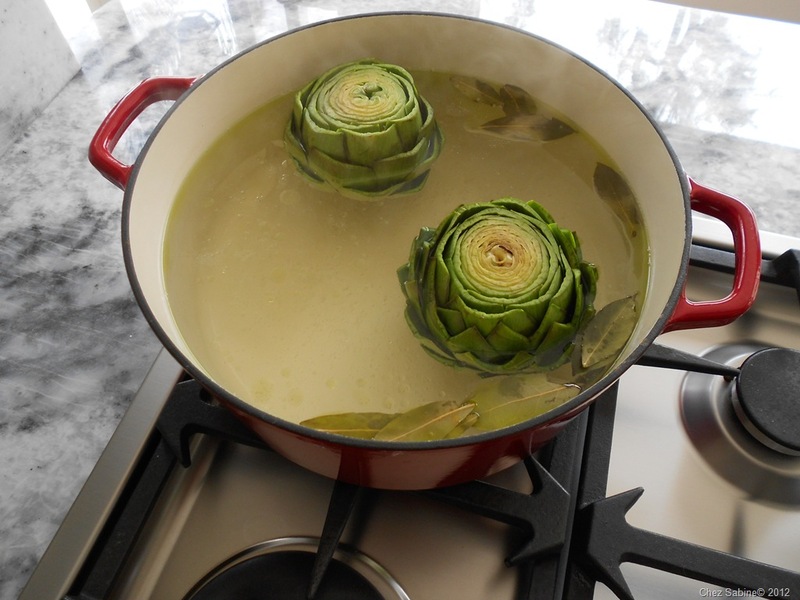 I hope you make the lotus artichoke, I think it should make people smile. Great instructions. 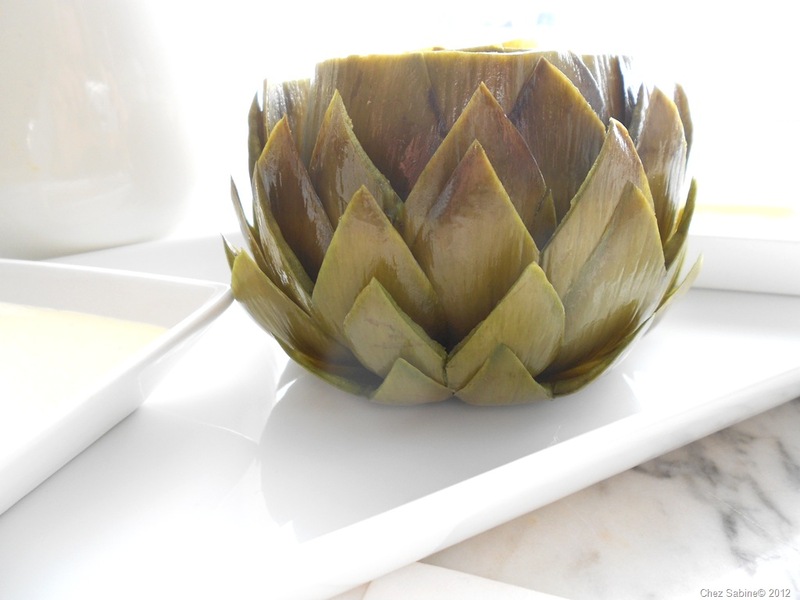 For a special meal when I was little my mother used to grill steaks and make Artichokes with hollandaise. To this day it is still one of my favorite meals. The only difference is she never cut off the prickles. We learned to eat them without harming ourselves. Nell, thank you for sharing that. What a wonderful meal your mother made. Really? You never poked yourself? Lucky you. Thanks for reading!